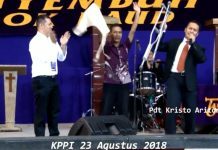 Cindy Cicilia: Healed from A Kidney Infection at Pray for The Nation Service Tahuna, Sangihe, North Sulawesi, July 31, 2018. Here is the healing testimony of Cindy Cicilia. The disease started in April 2018. She felt very painful on her back, at the right side. From 6-8 o’clock the pain did not get better. It was very painful and she told her mother about the pain. Her mother suggested her to go to the nearest hospital in the city. She went to the hospital and got checked by the doctor. She told the doctor about her pain. The doctor decided to inject the medicine into her body. One hour later, apparently the medicine had no effect at all. She was still in severe pain on her back to her feet. Because of the severe pain, she was not allowed to move her leg or walk and could only lie down on her bed. Finally, the doctor decided to put infuse in her body and she had to be hospitalized. 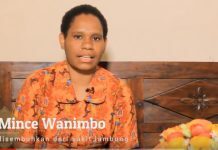 At last, her family decided to bring her to Manado for further medication. She still found many struggles when she was going to Manado. Her body felt very weak, even she found it difficult to walk. She felt such a great suffering caused by the disease. 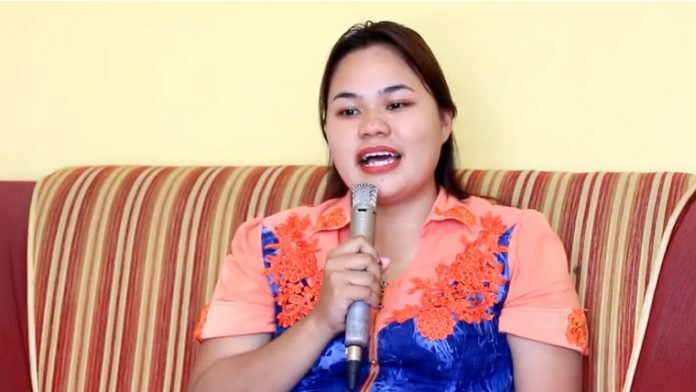 She just prayed that God would give her enough strength so that she could get to Manado. She had this hope that she would get medical treatment and recover right away. The doctor said that she got kidney stone. The doctor said that there would be three options: getting laser, being operated and another option that she did not understand. The doctor said that she had to be treated right away because the stone would become coral and would scrape the kidney. As the result, it would destroy the kidney and caused kidney failure. She thought this disease was quite serious. However, she kept her faith that God was there. She continually prayed and asked the Lord to give her a way out and that she could be healed and healthy again. God listened to Cindy’s prayer. On Tuesday night, her friend sent her a WhatsApp message, inviting her to come to an event “Praying for the Nation Tahuna.” In the service, she kept on praising Lord, praying and believing that Jesus would touch and heal her. Praise the Lord, she felt so peaceful after being prayed. She has received the miracle in her life. God has touched her body and kidney. Now, she does not feel any pain anymore. She believes that all of her sicknesses have gone. She makes a commitment to change her bad characters so that she can please God.